Anxiety disorders are the most common mental illness in the United States, affecting over 40 million adults. While you might not have panic attacks or debilitating fears, none of us are immune to milder fears and anxieties. 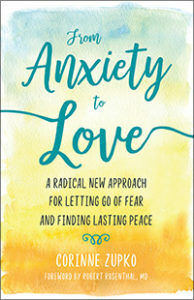 With From Anxiety to Love: A Radical New Approach for Letting Go of Fear and Finding Lasting Peace, Corrine Zupko EdS, LPC, shares her unique three step healing process to help you manage panic attacks and overcome anxiety once and for all. Corinne is a licensed counselor and keynote speaker who has helped thousands of individuals through her one-on-one counseling, and weekly meditation classes for corporations. She co-founded Miracle Share International, through which she hosted the largest ACIM conference in the world. Later, while the song says you can’t hurry love, you can certainly make sure you are ready when the right one comes along! 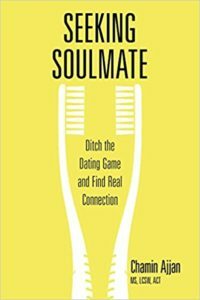 Find out how to be prepared for that moment in Seeking Soulmate: Ditch the Dating Game and Find Real Connection. Author Chamin Ajjan, MS, LCSW, ACT, is a licensed clinical social worker who has been in private practice since 2004. 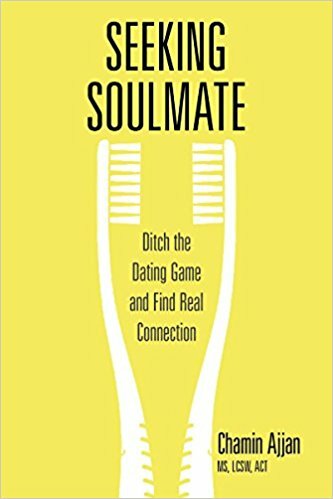 She has blogged extensively about mindful dating, and developed a mindful dating model that she uses in her practice.